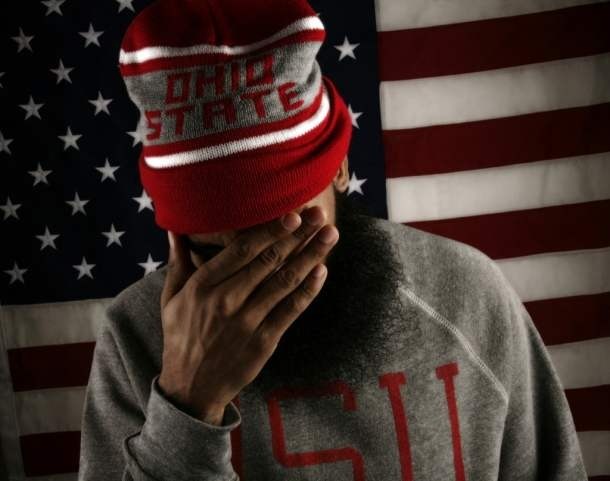 Massillon MC Stalley is repping hard for his small town Ohio upbringing. His Lincoln Way Nights (Intelligent Trunk Music) is an homage to the town's car culture and a life lived before moving to Queens. Stalley took the time to share some of those experiences which included guarding Lebron James in high school and growing up in one of America's most renowned football towns. crib, like in the Go Tigers! documentary? a lot of them period. It’s a tradition that is still going on. hoop occasionally since the injury? and just play ball and have fun. rappers or noteworthy people in the league? at ESPN, XXL magazine, Slam magazine… you know… people from BET and MTV. others who are just out there to play and network. against another rapper in basketball? Naw. Not yet unfortunately. I’m looking for’em though, man. lot of rappers say they can play and I want to see. against Lebron James in high school. How did that go for you? Did you play against him all four years? other all through high school. junior year and come back even more determined in his senior year. gifted, but his frame was small. He was a tall boney dude. Yeah, and he walked with his feet out too. had the best team in the country. claiming. He was definitely that when he hit the court. could tell he really took the off-season serious. Lifting weights. Working out. Eating right. He was dedicated. repped Massillon. Why is it important that you show that small town pride? Massillon besides a football player or a basketball player. just in New York and LA and these big cities. want when it comes to the writing. With your record Lincoln Way Nights, what concept are you working with? that runs to Canton and eventually turns into Tuscawaras, I believe. out the city and people in enjoy it whether they like cars or not. people I met three years ago who gave me that nod and told me to keep doing it. course encouraging him to, so hopefully. Everybody is doing their own thing. Are you following the OSU Buckeyes being number one in basketball right now? been a long time since we’ve been number one in basketball. Do you like our chances in March? And recruiting within the state too, which gives it more meaning. wanted to go to Syracuse. traitor comments from your people back home? So people really went at him about being a traitor. Stalley's “Lincoln Way Nights (Intelligent Trunk Music)” came out February 8. He will be performing multiple showcases at SXSW in March.